OT on the Tracks: 9 days to go! 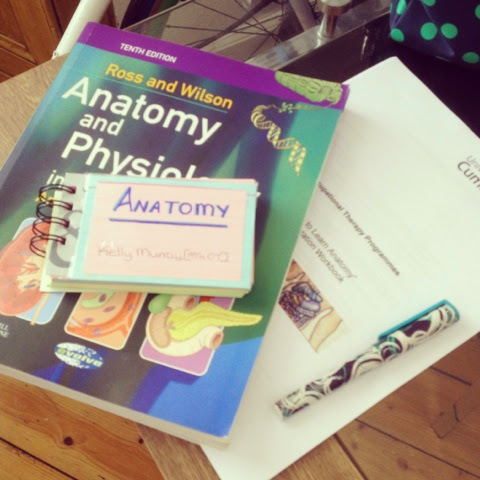 Can not believe it's now only 9 days until I start the MSc OT (pre-reg) course. The last few months have flown by... And i imagine the next two years are going to be just as fast. I've finished up as an OT assistant now and im picking up a couple of shifts in my new job (see previous post for more details) over the next week before starting university on the 22nd. I have been trying to start looking at anatomy over the last few weeks in preparation for starting. Its alot harder than i thought it would be. Im starting to like my brain is going to take a wee while to get back into the student mode i.e. Remember loads of facts and figures. Hopefully it will start to stick in my head over the coming weeks. Any tips on learning and remembering anatomy?